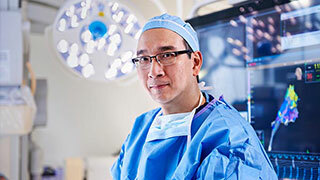 UT Southwestern Medical Center is at the forefront of treatment for ischemic stroke, including the latest advances in medication and surgical techniques for clearing blocked blood vessels and optimizing a patient’s chance for a full recovery. UT Southwestern is the only Advanced Comprehensive Stroke Center in North Texas, as certified by The Joint Commission and the American Heart Association/American Stroke Association. If you or a loved one is experiencing signs of a stroke, it is a medical emergency. Call 911 and go to the nearest stroke center in an ambulance. An ischemic stroke occurs when a blockage, such as a blood clot, interrupts blood flow to the brain. Brain cells in that area will die within minutes if they don’t receive the oxygen and nutrients that blood carries. Brain cell death can cause a loss of brain function, which in some cases is permanent. Ischemic stroke accounts for almost 90 percent of all strokes. It’s usually caused by a narrowing of the arteries in the neck or head due to atherosclerosis, which occurs when plaque builds up inside the arteries. UT Southwestern’s Robert D. Rogers Advanced Comprehensive Stroke Center is certified by The Joint Commission and the American Heart Association/American Stroke Association. 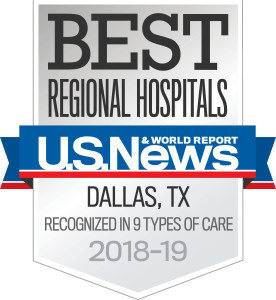 The only dual-certified hospital system in the nation, UT Southwestern received the designation in recognition of our team's unique offerings that provide patients having a stroke with the best possible chance of recovery. Studies consistently show that patients treated at designated stroke centers have lower rates of mortality and morbidity – and better outcomes – than patients treated elsewhere. Learn more about the warning signs of stroke. If a patient arrives at UT Southwestern and has experienced or is experiencing a stroke, rapid diagnosis and evaluation are critical so he or she can receive appropriate medical attention right away. If admitted to a stroke support or a primary stroke center and the stroke is complex, a patient can be transferred to a higher-level stroke center such as UT Southwestern once stable. Another hospital can transfer a patient, or the patient and family can request that he or she be taken to UT Southwestern. The first step in treating an ischemic stroke is to restore blood flow to the affected area of the brain as quickly as possible. Physicians can use tissue plasminogen activator (tPA, also known as IV tPA) to dissolve the blood clot causing the stroke. However, tPA must be administered within three to four and a half hours of the onset of stroke. It’s not a cure, but it can be very effective. Learn more about tPA. A highly effective new treatment called endovascular rescue therapy has proven to be the treatment of choice in certain patients with acute ischemic stroke. It’s often done after IV tPA is given in patients whose large cerebral vessels are blocked by blood clots. The treatment involves placement of a stent or very small catheter into the blocked artery to directly remove the clot. This procedure needs to be done within six to eight hours of the onset of the stroke. Because this type of therapy is performed only in patients who have a blockage in one of the large arteries in the brain, not all patients with ischemic stroke will benefit from it. Not all hospitals offer endovascular rescue therapy for complex strokes. UT Southwestern performed this type of intervention even before it was introduced as effective for the general population. We offer highly trained and experienced neurointerventional physicians, available 24 hours a day, to perform the procedure. Our physicians are experts in helping control these risk factors, often with medications that UT Southwestern researchers and clinicians helped discover and test. 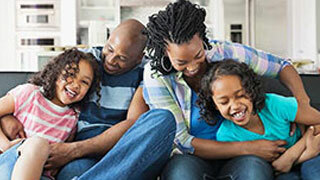 Learn more about stroke risk factors. What happens after a stroke depends on the magnitude of the stroke and its impact on a patient’s body, which can range from mild to severe. UT Southwestern offers a stroke rehabilitation unit dedicated to helping patients regain as much function as possible and manage the permanent impact of a stroke. Our therapists assist patients who have problems moving their arms or legs, problems speaking or understanding language (aphasia), difficulty swallowing (dysphagia), difficulty with walking/balance, and other effects of stroke. 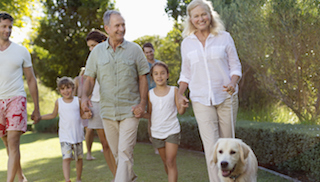 Learn more about stroke rehabilitation. UT Southwestern also offers patients access to innovations in stroke care, including new treatment options for cerebrovascular disorders. UT Southwestern evaluates these innovative treatments for effectiveness and then often becomes the first hospital in North Texas to offer them. Learn more about clinical trials.